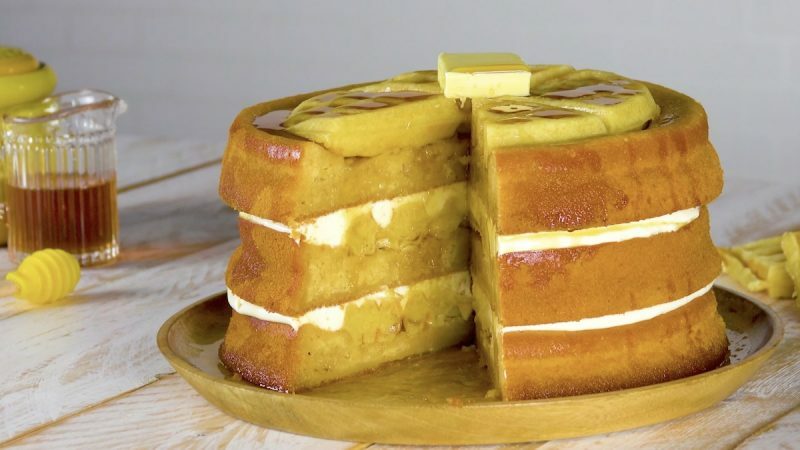 Do you love eating both waffles and cake, but can't decide which one of these scrumptious treats you would like to make next? Then you've come to the right place, because thanks to this genius recipe, you no longer have to choose — a waffle cake is the best of both worlds! 1. 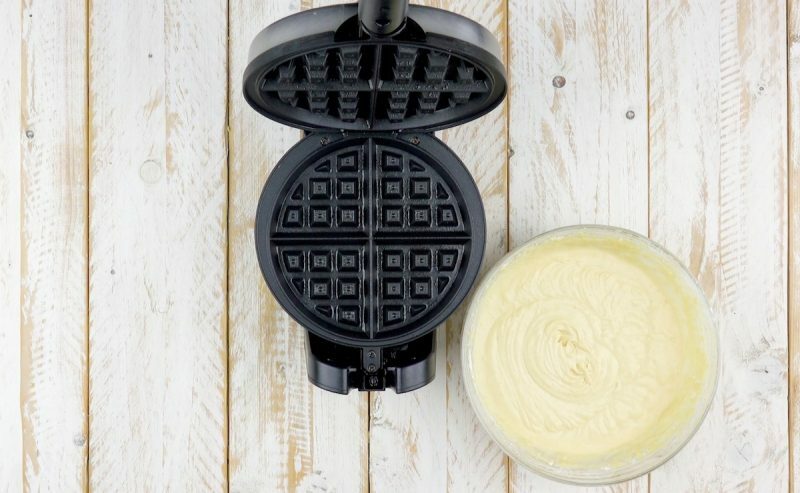 First make the waffle batter by mixing together the eggs, sugar, butter, vanilla extract, and milk. Stir in the flour and baking powder until smooth. 2. 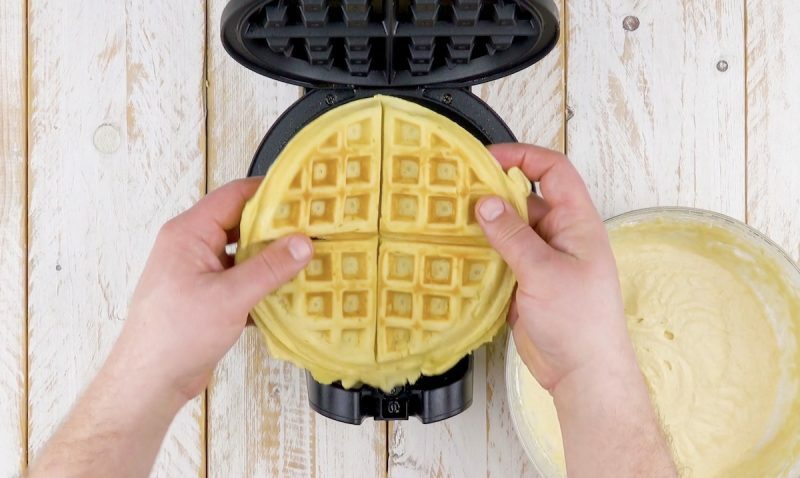 Use a waffle iron to make three large waffles for the cake. 3. While the waffles cool down, go ahead and prepare the cake batter. Cream the butter and brown sugar, and then gradually stir in the rest of the cake ingredients. 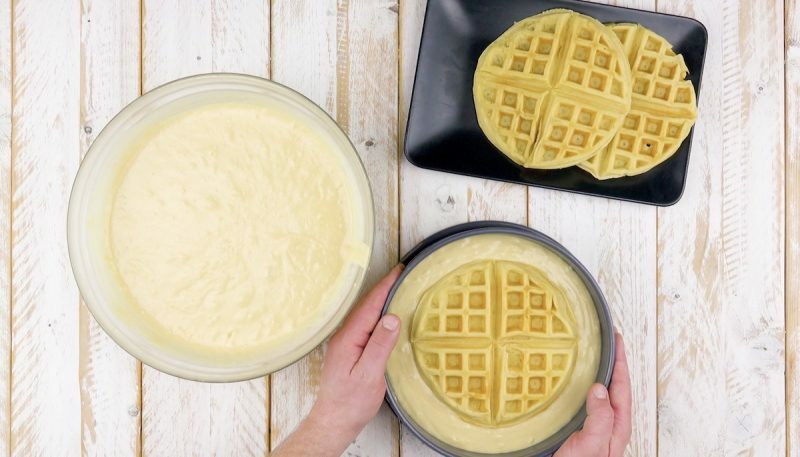 Pour 1 ladle of cake batter into a greased springform pan and place one waffle on top of the batter. Then bake at 350°F for 60 minutes. Repeat this process with the other two waffles and remaining batter until you have 3 waffle cakes. 4. Mix the cream cheese and honey together and spread half of it over the top of one of the waffle cakes. 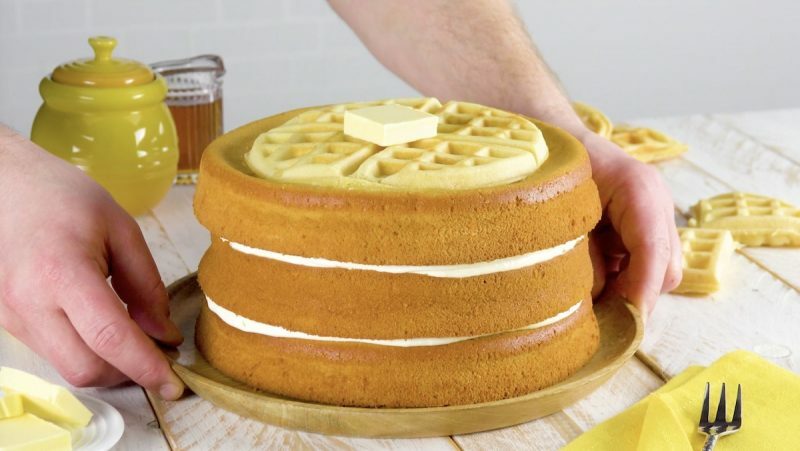 Place the second waffle cake on top, spread the rest of the cream on top of this, and then top with the final waffle cake. 5. Place a large pat of butter in the center of the top waffle and pour warm maple syrup over the entire cake for an authentic experience. Talk about a treat that's easy on the eyes and the stomach! You can find the recipe for the Ladyfinger Cake featured in the bonus video here.